More than a concert... An intimate experience in one of the worlds most beautiful amphitheatres. 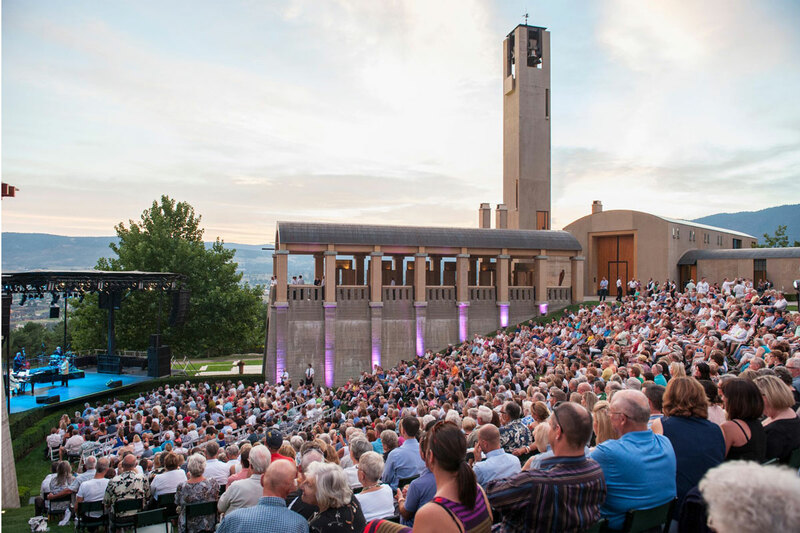 Please note doors open at 5:00 pm for Events during Mission Hill Concert Series, and 5:45 pm for David Foster. All concerts are performed outside and are held in rain or shine. Please dress for the weather and wear appropriate footwear for an outside, grassy area. There is no covered seating. Shade umbrellas are permitted only prior to the performance(s) and during intermission. Clear rain umbrellas will be provided by the Winery in the case of inclement weather. Yes. Please be aware that due to the artist contracts and venue capacity. A ticket is required for all children three years of age and older. We ask that you be courteous to those around you and respectful of the artist’s performance. Mission Hill Family Estate is a non-smoking facility. Smoking is permitted in the “Designated Smoking Area” at the end of the paved walk-way outside the Keystone only. There is no smoking within the Winery grounds. Are taxis available following the concert? Yes. 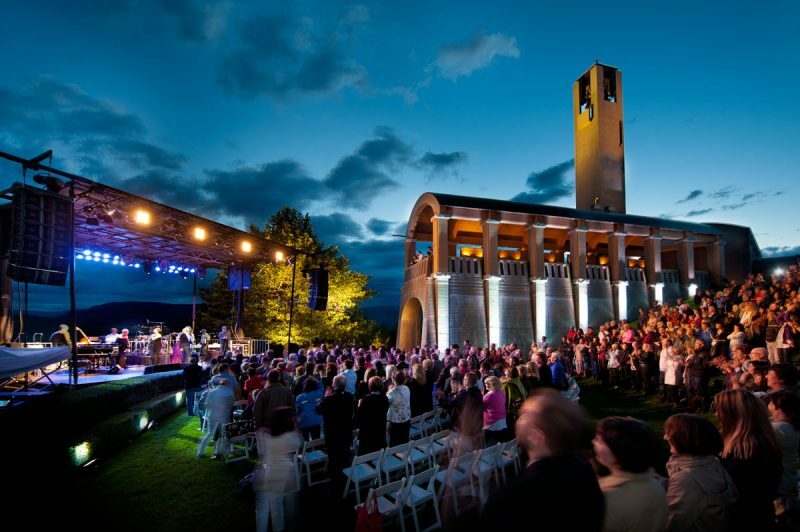 Tours are available on concert days, and it is recommended that you book in advance by visiting missionhillWinery.com or by calling 250-768-6483. The Winery and Wine Boutique close at 3:00pm on performance days. Will Call is available at the Select Your Tickets Box Office until 12:00 pm the day before the concert. Any remaining tickets at Will Call after this time will be available for pickup directly at Mission Hill Family Estate after 5:00 pm on the day of the event. To be notified of special offers, library releases, wine club and upcoming special events please provide the following information and click on join below. Enjoy an incredible 4-course, wine-paired dinner crafted by Executive Chef Patrick Gayler at our scenic Terrace Restaurant. Your ticket also includes reserved concert seating at the base of the outdoor Amphitheatre. Guests will be contacted by the Terrace Restaurant Team to confirm dinner reservation times, beginning between 5:00 – 6:00 pm. Your evening begins with a 4-course, wine-paired long table dinner set on the Loggia, our outdoor covered seating area with views of Lake Okanagan. Your ticket also includes reserved concert seating at the base of the outdoor Amphitheatre. Dinner begins at 5:15 pm. Dine in the Chagall Room and enjoy a summer inspired 4-course, wine-paired dinner prior to concert performance. Your ticket also includes reserved seating at the base of the outdoor Amphitheatre. Enjoy a reception in our Tasting Salons and outdoor courtyard, including a selection of seasonal food stations, passed canapes and wine pairings. Your ticket also includes seating in the bowl of the outdoor Amphitheatre. Reception from 5:30 pm – 7:15 pm. Enjoy an artisan sandwich crafted by Events Chef Adam Vaughn, served with truffle parmesan popcorn, cold 500ml bottle of water and a 375ml bottle of Mission Hill Reserve Merlot or Pinot Gris. Your ticket also includes seating in the bowl of the outdoor Amphitheatre. Wine selection available at time of pick-up. An exclusive evening for Mission Hill Family Estate Privilege Members. Your ticket includes a reception in the outdoor courtyard with Chef food stations, passed canapes and wine pairings curated by our Sommelier Team. Enjoy the concert performance to follow in our outdoor Amphitheatre. Reception 6:00 pm – 7:00 pm. 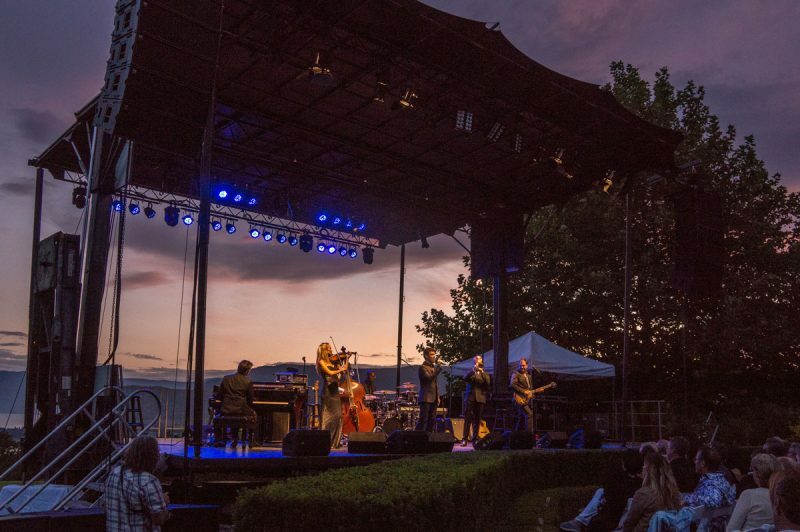 If you have purchased the Terrace Dinner & Concert, you will be contacted by our Terrace Restaurant in advance to secure your dinner seating time between 5:00-6:00 pm. 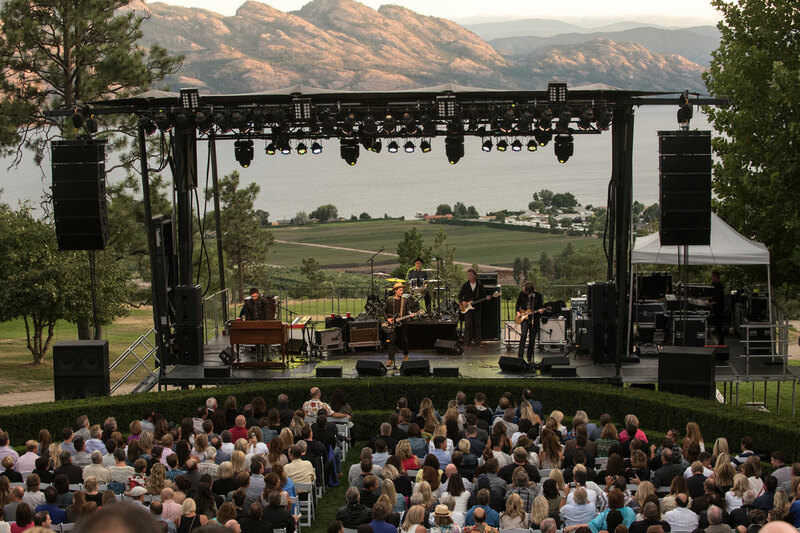 If you have purchased the Loggia Long Table Dinner & Concert, doors will open at 5:00 pm and you will be meet at the Keystone entrance to the Winery and escorted to your table. Dinner will start for all guests at 5:15pm. If you have purchased the Chagall Room Dinner & Concert, doors will open at 5:00 pm. Dinner will start for all guests at 5:15pm. Concert will proceed Rain or shine. All sales final, no refunds or exchanges. Footwear- Please wear appropriate footwear for an outdoor, grass and sloped Amphitheatre.